With a few setbacks, Apple is almost continuously expanding and updating its global retail chain, now over 500 locations. Here's the company's evolution in 2018 and 2019 so far, updated on Apr. 16 with word of a sixth London store, and upgrades to several U.S. outlets. A massive 20,000-square-foot store is en route to London's Knightsbridge district, according to The Evening Standard. 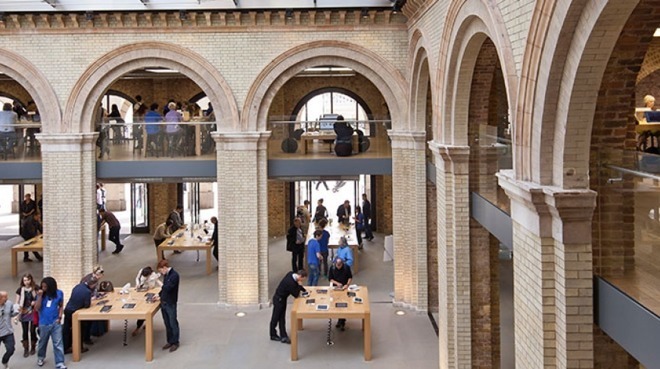 Apple has reportedly signed a deal for a space between Harrods and Harvey Nichols. The company already has five stores in the London area, but the city also has a population of over 14 million people, and is regularly flooded with tourists and other travelers. In the U.S., Maryland's Mall in Columbia shop is moving into an 8,000-square-foot space, 9to5Mac says. The existing storefront was founded in 2006, and measures 5,000 square feet. Three U.S. locations -- Scottsdale Quarter, Eton, and Ridge Hill -- are upgrading with video walls and forum spaces. Scottsdale will additionally be getting new shelving. A mockup of the proposed Pacific Centre store. 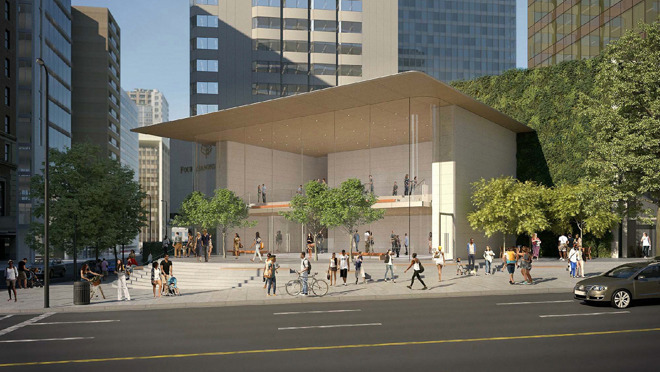 The city of Vancouver, Canada's Urban Design Panel has voted 4-3 against supporting a proposed design for an Apple store at the Pacific Centre, CityDuo says. One point of criticism was a planned "green" wall behind Apple's outdoor pavilion, but the broader theme among members was that they didn't feel the pavilion would blend well with the mall it would be attached to. The panel is only an advisory group and is unable to block the project, but its opinion will likely come into play when the city's Development Permit Board makes a decision on May 13. Apple may be replacing its existing Cherry Hill Mall store in New Jersey with a bigger, more modern location, a Courier Post report suggests. The city's planning board recently met to discuss a "flagship" store for an unspecified tenant, and a lawyer for the mall's owner said this tenant "is an internationally recognized technology equipment store" that currently occupies 5,700 square feet. Renderings strongly resemble an Apple store. If Apple is indeed the new tenant, it will be replacing a North Face and occupying some 10,000 square feet, with the added bonus of facing a 2,000 square foot plaza. 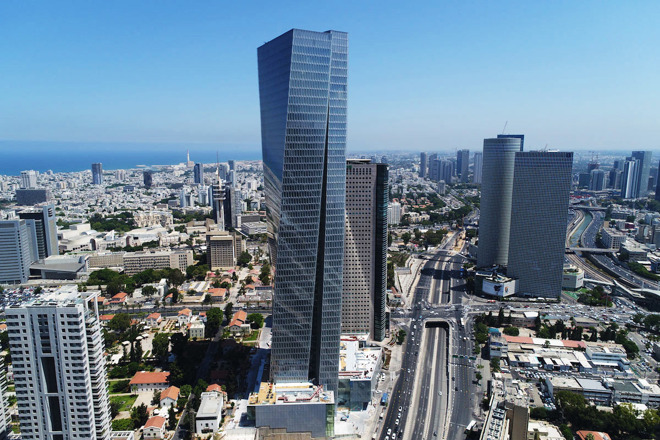 The company had been considering a shop at the base of the Azrieli Sarona Tower, but the Azrieli Group rejected proposed financial terms, according to Haaretz. The paper further claimed that no mall owner in the country has been willing to accept Apple conditions, leading to it stepping back after a year or more of searching. One of Apple's demands was help covering marketing and inventory costs, a Haaretz source said. The company has made similar demands with carriers selling iPhones, even though it makes tens of billions in profits each quarter. 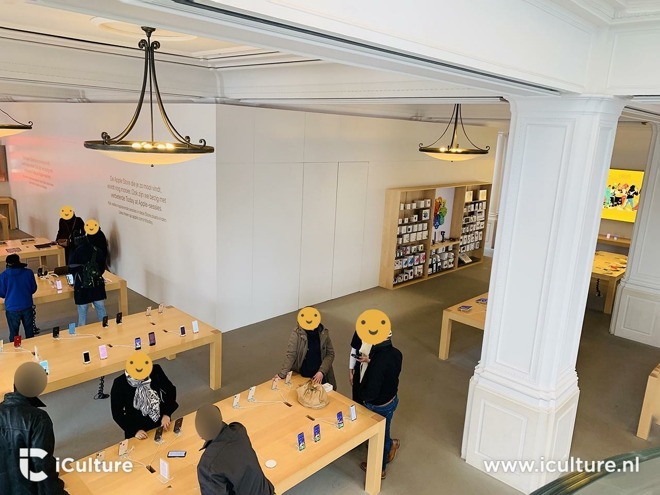 Apple's flagship Dutch store in Amsterdam is undergoing partial renovations, iCulture.nl says. While one floor is being kept open, the other is being shut, forcing things like the Genius Bar and accessory displays to move. In photos indoor construction barriers can be seen, and the company is apparently using temporary shelving to handle product overflow. The full extent of Apple's plans in unknown, but text on the barriers promises that the shop will become "even more beautiful" and gain "improved Today at Apple sessions." One source indicated that the renovation work will last until October 2019 -- a long time for any Apple renovation work, much less a single floor. That may be because of the Amsterdam store's historic architecture. Elsewhere, minor upgrades are being made at two Australian stores: Apple Highpoint near Melbourne, and Apple Broadway near Sydney. Highpoint at least is getting its own video wall. In the U.S., Dallas' Apple Knox Street has started its own previously-promised renovations. 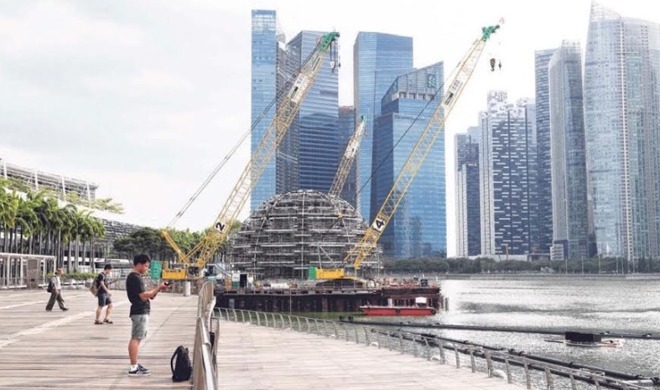 A dome at Marina Bay Sands, allegedly for Apple, is already under construction. The company's second and third Singapore stores are in development, according to the The Straits Times. One should open within Jewel Changi Airport, and the other at Marina Bay Sands, close to the city's business district. The Marina shop may have a dockside location replacing the Avalon night club, as well as a dome structure completely unique within the Apple retail chain. It may be linked to the rest of the shopping center by way of an underwater tunnel, similar to one used for a Louis Vuitton outlet. Apple has confirmed the impending closure of two Texas stores, located in Plano and Frisco. Willow Bend and Stonebriar will both shutter on Apr. 12, the former being one of the oldest in Apple's retail chain, dating back to 2002. The pair are being replaced on Apr. 13 by a Galleria Dallas location, even though that's a 30-minute drive from Frisco. It may be that Apple is trying to remove its retail presence from the Eastern District of Texas, a notorious venue for patent trials given relatively little court traffic and plaintiff-friendly judges. Without local Apple stores, it may be harder for patent holders to establish standing. 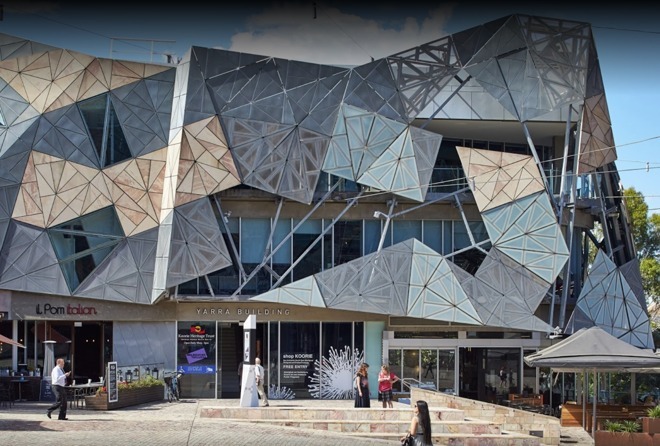 In a Future Melbourne Committee meeting held on Tuesday, city councilors and local organizations alike expressed opposition to a permit application by Federation Square management for demolishing the Yarra Building. Removing that building would pave the way for a long-controversial Apple store. In the run-up to the meeting, over 100,000 people signed a petition against the store, and the city council received some 1,100 like-minded submissions. A single submission came in Apple's favor, and during the meeting only one councilor backed the permit. 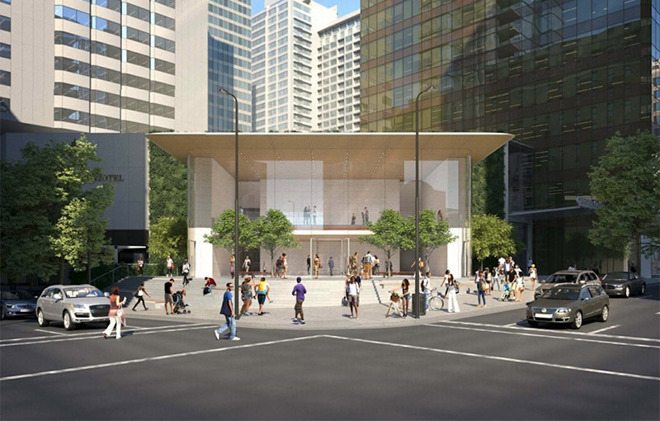 Although many people aren't fans of the Square's architecture, groups like "Our City, Our Square" have argued that it's now integral to Melbourne's identity, and that an Apple store would permanently alter this. The company isn't out of the game yet -- Heritage Victoria has yet to approve or deny the demolition. In the U.S., a Carnegie Library store -- also controversial because of cultural appropriation -- is now expected to open by late spring, possibly as soon as April. The library's book collection is being relocated, and reading rooms are being turned into product demo spaces. Apple is also paying Events D.C. between $1 million and $2 million in compensation. Apple Pioneer Place in Portland, Ore. will close for renovations on March 24 with no firm reopening date. The shop technically dates back to 2005, though its current outdoor space was only established in May 2014. Apple is presumably upgrading to its latest design aesthetic, which includes things like video walls and forum seating. 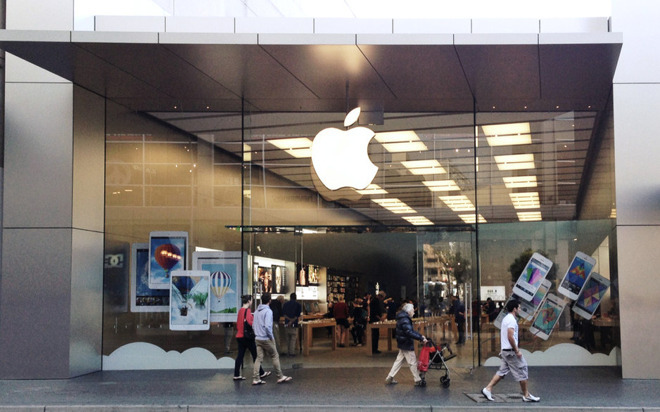 Apple Bondi, located on Oxford Street in Bondi Junction, Australia, is closing for renovations beginning March 24. The company hasn't said when the store will reopen or what changes are being made, but the shop will likely catch up with a modern design aesthetic including things like wooden shelves, a video wall, and possibly forum space. Apple has filed permits to open a store in Galleria Dallas, an indoor mall located at the corner of Interstate 635 and the Dallas North Tollway. The company is looking to occupy 8,155 square feet on the first floor. Existing stores in the outlying communities of Plano and Frisco will close, possibly as soon as mid-April, sources told 9to5Mac. It's possible that Apple will assign at least some of those stores' workers to Galleria Dallas, since Plano and Frisco are about 30 minutes away and part of the larger Dallas-Fort Worth area. Apple confirmed the closures in a statement to AppleInsider and other venues. We're making a major investment in our stores in Texas, including significant upgrades to NorthPark Center, Southlake and Knox Street. With a new Dallas store coming to the Dallas Galleria this April, we've made the decision to consolidate stores and close Apple Stonebriar and Apple Willow Bend. All employees from those stores will be offered positions at the new Dallas store or other Apple locations. Speculation exists that the move is to skirt the "rocket docket" that has developed in the Eastern District of Texas patent court. However, as Apple has at least 12 other corporate facilities in the region that AppleInsider is aware of, all of those would have to be closed as well. 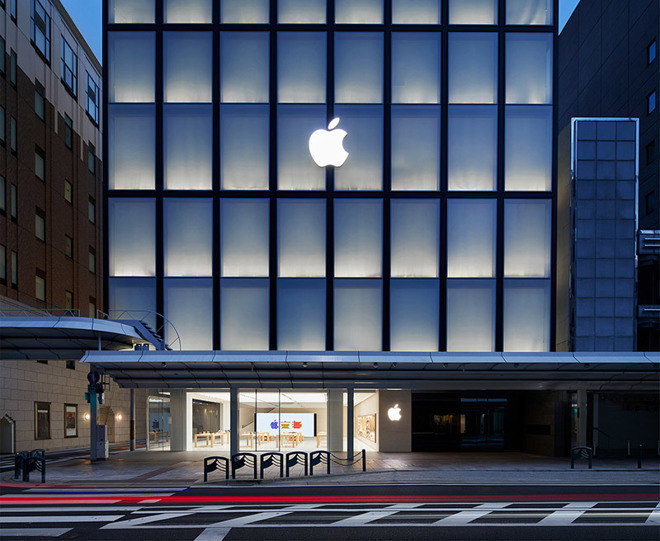 Apple might be eyeing a massive expansion to its street-front store in Reston Town Center in Reston, Va., according to a report from Reston Now. Building permits point to a takeover of a recently vacated Pottery Barn location that sits adjacent to Apple's current outlet. 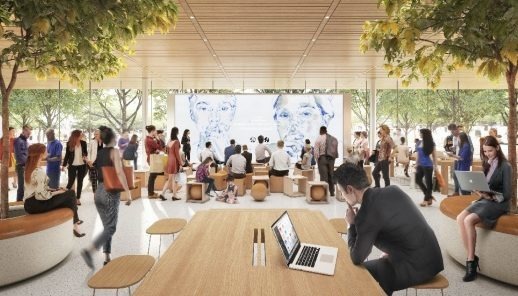 Plans mention a video wall, suggesting the company intends to transform the location into a next-generation Apple Store. Separately, Apple's Natick Collection store in Natick, Mass., will resume business on Feb. 16 at 10 a.m. local time. The spot has been closed for renovations since May 31 last year, and should take up Apple's current fashion-oriented aesthetic with touches like wooden shelf displays and an oversized video wall. Documents unearthed by The Daily Hive suggest Apple has settled on a location for a long-awaited flagship store in Vancouver. A development application submitted by Perkins + Will Architects outlines plans for a major reworking of the CF Pacific Centre's rotunda entrance building into a two-story retail pavilion. While Apple has yet to make an official announcement, the document includes mention of a metal cantilevered roof, all-glass facade and other design hallmarks of Apple's flagship stores. Outside, the building is slated to feature warm grey limestone cladding, granite paving, wood soffits and low-iron glass, while the interior boasts wood ceilings and bench seating running the length of the second level, according to the report. The flagship is expected to replace the current Apple Store located inside the adjacent Pacific Centre shopping mall. Apple Eaton Centre in downtown Toronto is relocating to a bigger space within the same mall, one currently held by Abercrombie & Fitch, MacRumors sources say. The latter company is already poised to move to a new spot this spring, though Apple's relocation might not be complete until sometime in 2020. The mall's existing Apple store occupies just 4,977 square feet, extremely small given that Toronto is Canada's biggest city. The A&F space is 10,680 square feet, and Apple could potentially choose to annex surroundings for even more room. A long-rumored store at The One, a skyscraper in development at the corner of Yonge and Bloor, is meanwhile apparently confirmed by a brochure for a nearby condominium complex at 19 Bloor Street West. The marketing claims that the store will primarily face Bloor, with just a small section running along Yonge. The One won't be completely finished until 2022 or later, but the ground-level retail space could be ready in 2020. A store in the northern Japanese city of Sendai will be shuttering Jan. 25. 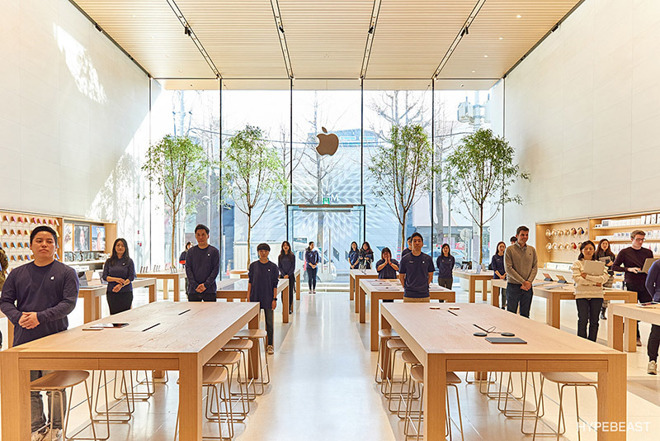 The shop launched in the Ichibancho shopping district in December 2005, but has remained largely unchanged, and now finds itself as the country's smallest Apple store. It's not clear if and when Sendai will get a replacement. Stateside, Apple Bridgewater in New Jersey is temporarily closing for renovations starting Jan. 27. No reopening date is available. Florida's Altamonte Springs shop will close on Jan. 13 for renovations. The location in Altamonte Mall dates back to 2008, and sports aesthetics Apple now considers outdated, such as steel panels. The company is likely to take the opportunity to expand into a nearby vacant space. During the closure, people wanting in-person shopping or tech support will have to turn to stores in Orlando. No reopening date has been set. Elsewhere in the state Apple is continuing its renovations of Waterside Shops in Naples, which closed Sept. 2. According to The Next Miami, the company will also be relocating its Aventura store to a bigger space next to the Aventura Mall's outdoor slide. An architect's render of the new design. Apple will be using a multilevel layout for its replacement store in Atlanta's Lenox Square mall, according to the Atlanta Business Chronicle. The current outlet, dating back to 2002, occupies a single floor. Other changes will include a wood-planked roof and a new facade consisting of six floor-to-ceiling glass panels. Sitting on either end will be curved stone walls. The updated shop should be based between a Zinburger restaurant and the mall's entrance from Peachtree Road. An opening date is uncertain, but past reports have pointed to late 2019. Apple previewed Paris' new Champs-Elysees store ahead of its Nov. 18 opening. For more details and photos, check out our news story. Lynnwood, Wash.'s Apple Alderwood Mall will finally resume business on Nov. 17 at 10 a.m. local time. The shop has been closed for renovations since Feb. 25, suggesting a major overhaul. Lynnwood is just north of Seattle, and some traffic may have been picked up by Apple University Village, which debuted this summer. 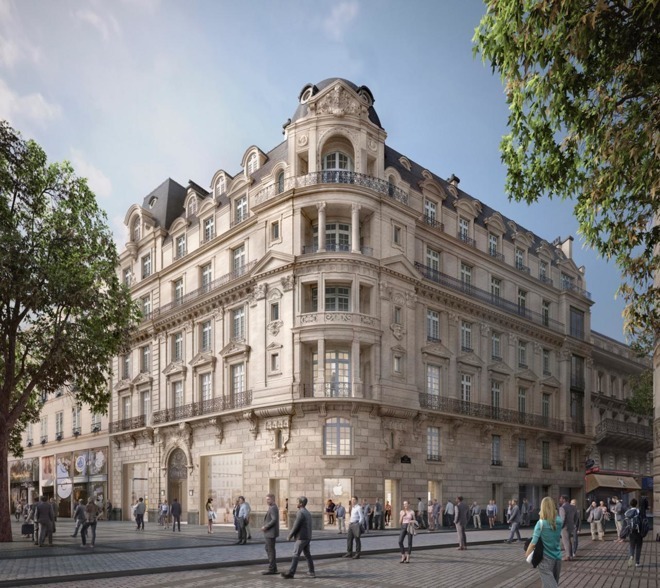 Apple's new leading Parisian store, Apple Champs-Elysees, will launch Nov. 18. 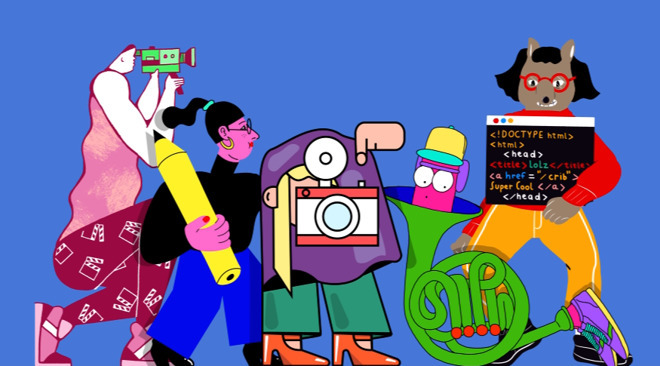 Since late October the building has had work from 15 artists on its windows, and the company is preparing an assortment of special Today at Apple sessions, including live art, a Music Lab with Songe and Myd, and two concerts. The Westchester outlet in White Plains, N.Y. will reopen Nov. 10 at 10 a.m. The shop has been closed since Apr. 2, suggesting major renovations. Apple Third Street Promenade in Santa Monica, Calif. will reopen on Nov. 17 at 10 a.m. local time. 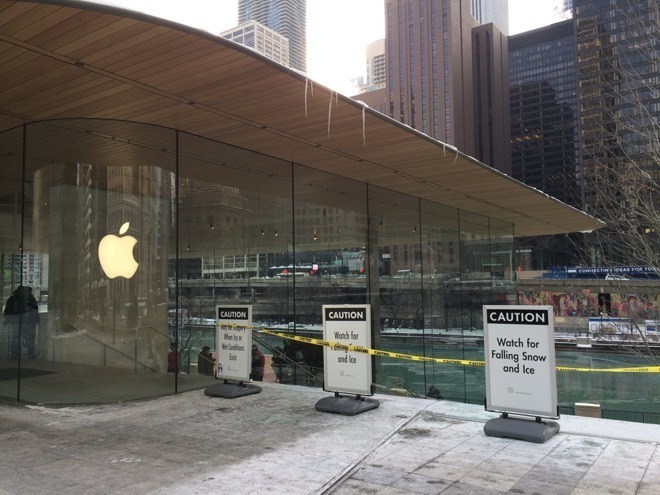 The shop has been closed since Sept. 16 for renovations, and in its new form will include a video wall plus a forum for Today at Apple events. Undergoing renovations since April, Apple Southlake Town Square will resume business on Nov. 3 at 10 a.m. Central time. Exact changes are unclear, but the store will presumably catch up with the company's current retail aesthetics, which including things like oversized video displays. Southlake is a town in the Dallas-Fort Worth area. Apple has updated grand opening news for its ICONSIAM location in Bangkok. The outlet is due to open Nov. 10, and will be the company's first shop in Thailand. Tokyo's Apple Shibuya will reopen on Oct. 26. The store has been undergoing renovations for 11 months, forcing Apple Omotesando to take in extra traffic. Such a long remodeling is unprecedented, suggesting that Apple intends to wow the public and make it a key Japanese location. The whole country has only nine Apple stores, despite a population of over 127 million. Having been closed for four months of renovations, Apple's Covent Garden store in London will finally reopen on Friday, Oct. 26. That's also the official ship date for the iPhone XR. The extent of Apple's changes is unknown, but as a prominent location the store is likely to get a "forum" space for Today at Apple events in addition to other modern touches like an oversized video wall. The closure of the Carrousel du Louvre outlet in Paris will take place on Oct. 27, Apple has announced. As revealed last month, it will be replaced by a Champs Elysees location in November. Workers from the Louvre store are being offered jobs elsewhere in the city. Image Credit: AppleInsider reader Rob R.
Apple Deer Park in Illinois, which is relocating to a former Restoration Hardware in Deer Park Town Center, will throw open its doors this Saturday at 10 a.m. local time. Last-minute construction work is underway. The Robina Town Centre shop in Queensland, Australia will reopen Sept. 29 at 9 a.m., having moved to a different location within the same mall. As usual with recent relocations, the store will have an overhauled design including a video wall, and in this case forum seating for Today at Apple events. A new shop, Scottsdale Fashion Square, is set to open outside of Phoenix, Ariz. on Sept. 29 at 10 a.m. It will replace the city's aging Biltmore location, which is smaller and lacks Apple's current retail aesthetics. Opening the same day will be Nashville's renovated Green Hills store. The space closed in February, but the downtime comes with the benefit of a greatly expanded footprint. The relocated Apple Eastview in Victor, N.Y. will reopen on Sept. 21, the same day the iPhone XS, XS Max, and Apple Watch Series 4 will become available. For those launches the shop will open at 8 a.m. instead of its usual 10. Changes to the shop are uncertain, but it should offer a bigger space and a modernized design. The Eastview outlet first opened in 2005 and went largely unaltered until the relocation effort. A long-expected Champs Elysees outlet in Paris will open this November, the company told France's LCI. The new flagship will be located at 114, and occupy at least two floors, with the rest of the space being dedicated to offices. Annual rent should be about 14 million euros ($16.2 million), three times what the previous tenant paid. Design work is being handled by Apple's usual ally Foster + Partners. The store should also be powered entirely by clean energy. In a tradeoff, the company will be shuttering its Carrousel du Louvre location once its lease expires. Workers there will be offered other jobs in the Paris region, presumably including Champs Elysees. 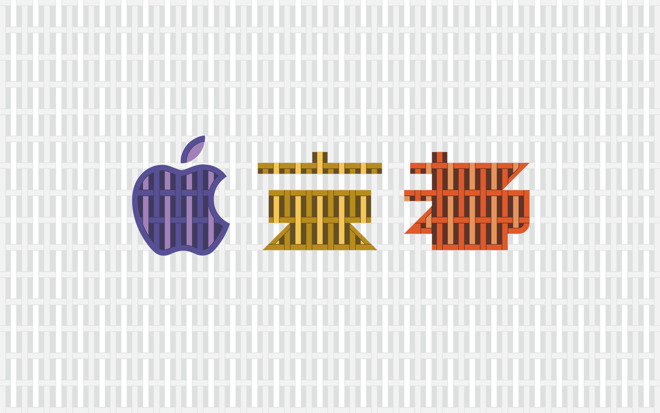 Apple is set to open a new outlet in Suzhou, Jiangsu, China. 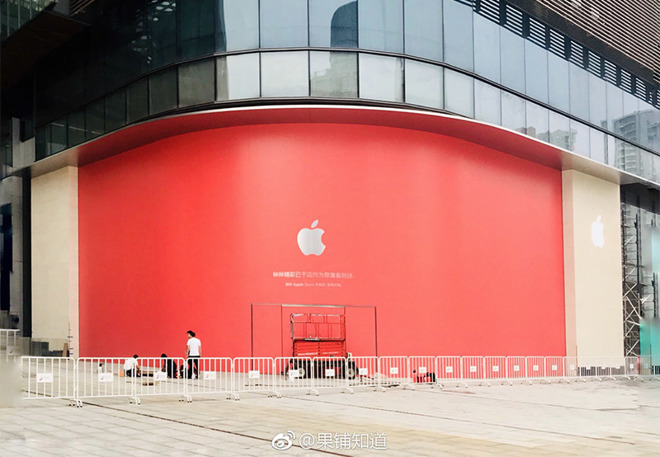 Photos of the store, currently under construction in the iconic Gate to the East building, were posted to a Weibo page dedicated to Apple retail openings. With an official "coming soon" facade in place, Apple Suzhou should open soon. The Third Street Promenade location in Santa Monica, Calif. will close on Sept. 16 for renovations. It's unknown when work will complete, but the shop will at least be out of action for Apple's usual fall iPhone launch. One compensation is that Santa Monica is a part of the greater Los Angeles area, and the city has numerous Apple stores, including Apple Century City only 15 minutes away. The SouthPark store in Charlotte, N.C. is slated to reopen on Sept. 2 at 11 a.m. local time following four months of renovations. The shop dates back to 2004 and in fact relocated to a bigger space in 2013. Sept. 2 will also signal the beginning of planned renovations at Waterside Shops in Naples, Fla. Opening Aug. 25, Apple Kyoto will be the company's first outlet in Japan's former imperial capital. Located on Shijo Dori, which has served as Kyoto's shopping mecca since the 1600s, the thoroughly modern retail store features design elements inspired by local materials, architecture and tradition. The upper levels of the space are covered in a "translucent envelope" inspired by Japanese toro lanterns, while the upper facade uses lightweight timber and special paper that references Japan's traditional houses, Apple says. Indeed, a picture of what appears to be an upper level of the store shows a wall design that resembles a shoji door's wood-and-paper paneling. Inside, a sales floor is split between multiple levels, each of which opens to a central atrium where Apple plans to host Today at Apple sessions. 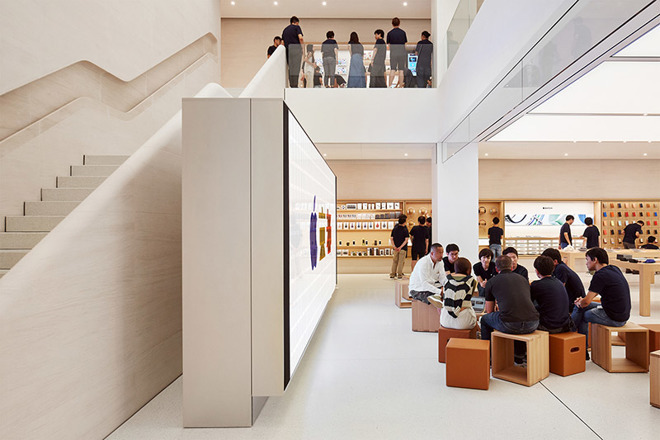 Boasting an "Apple Store 2.0" aesthetic, the interior layout is open with ample room for Apple's custom-built demonstration tables, accessory shelves and, on ground level, a 6K video wall. Two U.S. shops will be reopening in bigger spaces on Aug. 18. These include Apple Orland Square Mall in Orland Park, Ill., and Apple Irvine Spectrum Center in Irvine, Calif. Both date back over a decade, and until relocation efforts the Orland Square Mall store was notoriously small, with aisles easily choked by traffic. 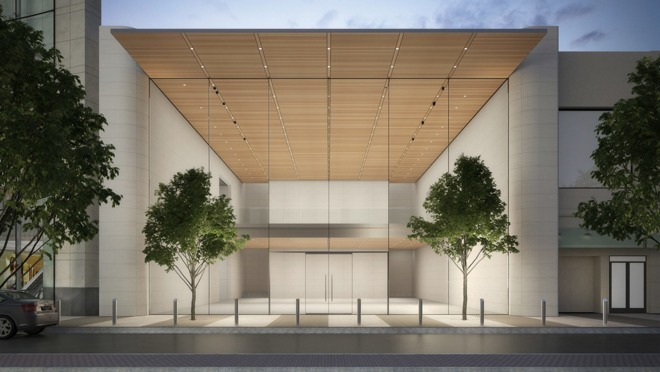 Apple's new store in Kyoto, Japan will launch at 10 a.m. local time on Aug. 25. The shop will be open from 10 a.m. to 9 p.m. every day of the week, operating out of the Kyoto Zero Gate building. The company has eight other stores in the country, but until now has never had one in Kyoto. Apple Waterside Shops, located in the Florida town of Naples near Fort Myers, is scheduled to shutter temporarily starting Sept. 2 while renovations are in progress. It's unknown when work will be finished. The store dates back to March 2007, and needs a number of changes to bring it in line with Apple's current design aesthetics. These include adding a forum space and an oversized video wall. An official mockup of Apple's renovation plans. Apple has revealed more about its plans for Tower Theatre in Los Angeles. The company's senior director of retail design, B.J. Siegel, told the Los Angeles Times it will be "in the upper echelon" of the company's stores, different from anything else in the city, retaining some of its theatrical design touches and hosting events meant to draw hundreds of people. The place where the theater's movie screen used to be will play home to a video wall. The shop should become a "mecca" for talks by experts in movies, TV, and music, Siegel added, taking advantage of Los Angeles' role as an epicenter of mainstream commercialized culture. 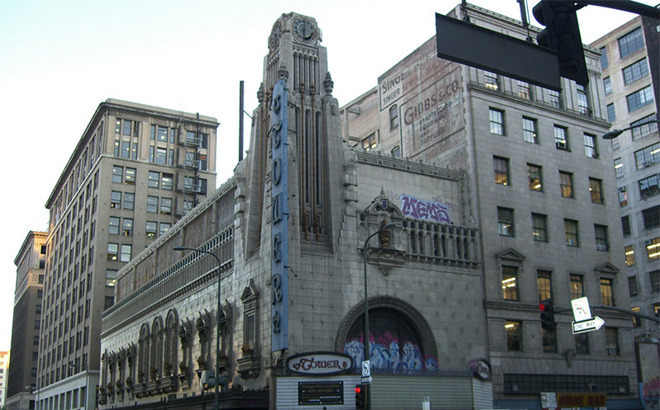 By way of city work permits, Apple has confirmed plans to restore and convert the well-known -- but long abandoned -- Tower Theatre in downtown Los Angeles, according to Curbed. The structure was originally built in 1927 and was the first L.A. theater to be wired for sound, but is now known only as a landmark thanks to its period architectural details. Apple is set to replace the gallery mezzanine, as well as retrofit the building to better withstand earthquakes. It's unknown when Apple might be ready to open a store. 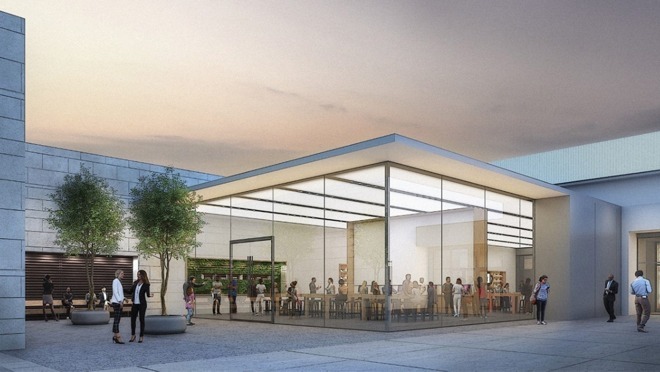 Apple's relocated Walnut Creek, Calif. store will open on July 28 at 10 a.m local time. The new shop is based in Broadway Plaza, at the location of a former California Pizza Kitchen. Architecturally it should resemble the likes of Apple's Michigan Avenue, with a flat roof and glass walls that blend the store with its surroundings. 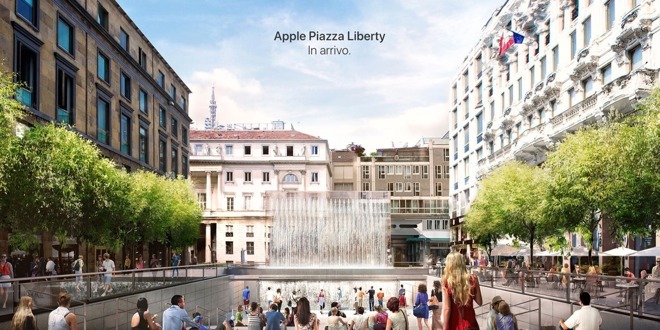 Apple Piazza Liberty in Milan will officially throw open its doors on July 26, retail head Angela Ahrendts told Io Donna. The shop will be open 24 hours a day, the same as the Apple Fifth Avenue location in New York City. One of Apple's renderings of the proposed Stockholm location. 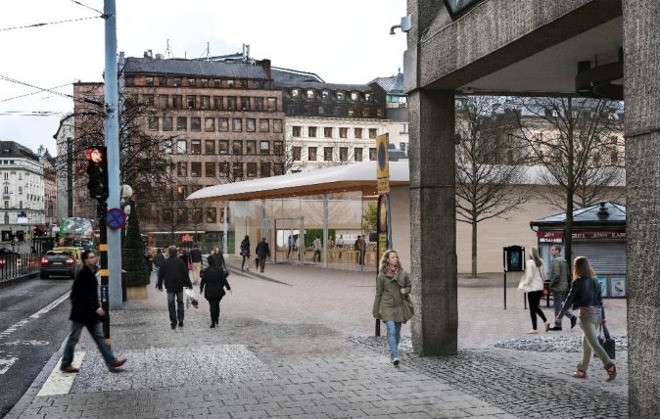 Through Sept. 12, the Swedish public has been given a chance to see and comment on Apple's draft proposal for a shop bordering Stockholm's Kungstradgarden. Also looking at the proposal are 24 regional organizations, and a consultation meeting is set for Aug. 23. 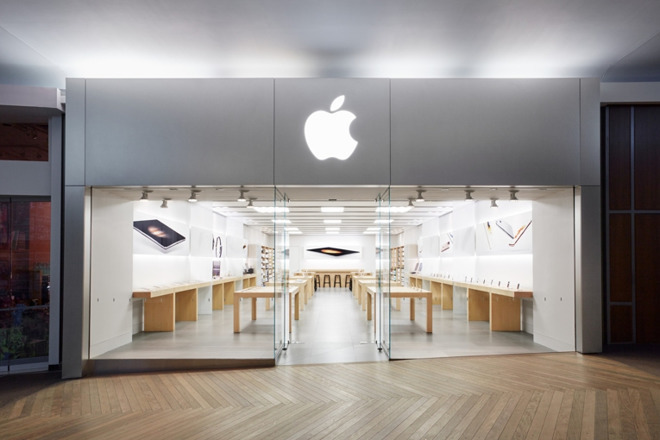 The shop's look would take after Apple's more recent buildings, such as its Michigan Avenue store in Chicago, or the Visitor Center in Cupertino. This includes a low, flat roof, curved glass, and wood planking for the ceiling. Apple has been working towards the Kungstradgarden shop since early 2016, but has encountered resistance from some members of the public concerned about commercializing a historic location, even if Apple's store would simply be replacing a TGI Fridays. The company's architects did tone down the original design, which could help it blend into surroundings. Apple Cotai Central in Macau, opening June 29, has been revealed has having a millimeter-thick stone "curtain," as well as a bamboo grove. 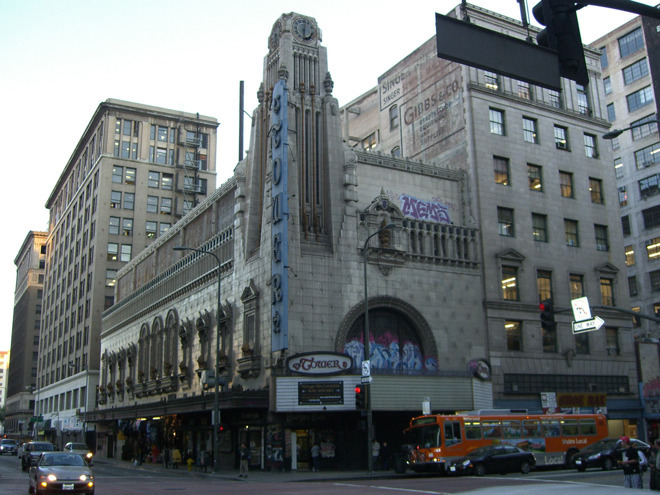 A DTLA Rising report resuscitated rumors that Apple may take over Los Angeles' famous Tower Theater. Tenants in exterior stalls have been told to vacate by the end of June, and one source claims that Apple is hoping to "encase the entire Tower Theater in a glass cube," though more likely is a restoration given the Tower Theater's historical significance. Apple has confirmed that its updated University Village store in Seattle will open at 9:30 a.m. local time on June 30. Replacing the old outlet, the new one has more interior space including a Forum and video wall for hosting Today at Apple events. The space also focuses on the use of natural light, through both the facade and a skylight. The company's renovated Palo Alto, Calif. location on University Avenue is set to reopen on the same day at 10 a.m. Pacific time. Apple's upcoming flagship in Milan, Italy should open in late July, possibly as soon as July 18 according to Corriere della Sera, though the company doesn't typically open stores midweek. The shop was allegedly going to open in December 2017, then this February, but was delayed by the discovery of asbestos in walls and pipes. 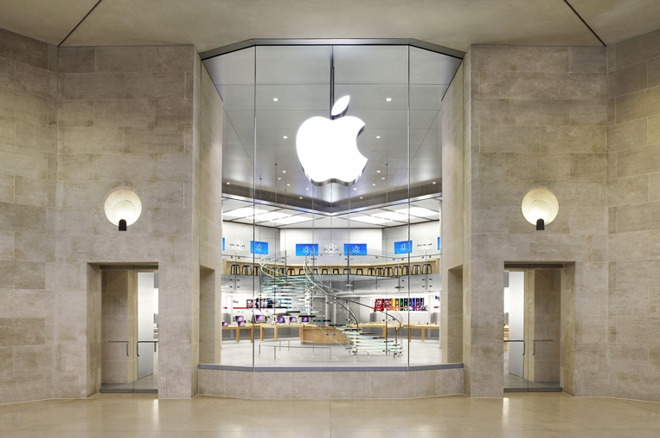 Apple's first Israeli store could potentially open in Tel Aviv's Azrieli Sarona Tower. At the moment, though, the Azrieli Mall Group is in "preliminary negotiations," according to Globes. Another publication, Yediot Achronot, indicated that talks have been in progress for "several" months. The company confirmed that its second store in Macau, Apple Cotai Central, will throw open its doors on June 29. Its name stems from the nearby Sands Cotai Central casino resort. Two of Apple's bigger stores -- Covent Garden in London, and Wangfujing in Beijing -- were announced as closing for renovations later in the month. Apple Natick Collection in Natick, Mass. has shuttered for renovations. It's not known when the store will reopen. In a rare announcement, Apple said it would permanently shutter its Pier store in Atlantic City, N.J. without opening a replacement. 52 people were affected, forced to either find new jobs with Apple or a different employer. 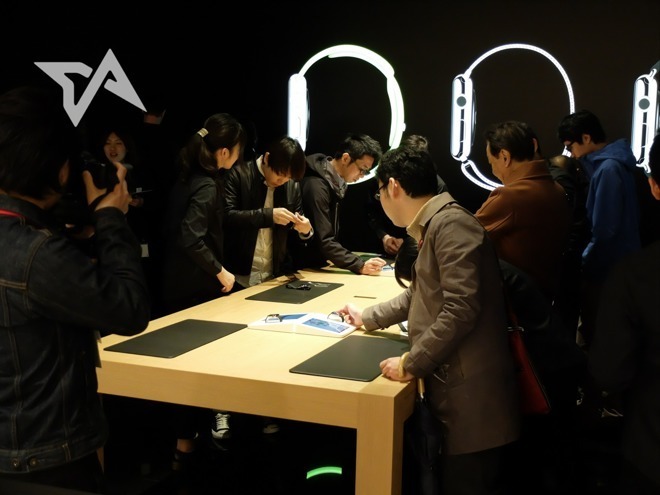 The last dedicated Apple Watch pop-up outlet, located in Tokyo's Shinjuku ward, finally reached an end. Apple's first flagship-level store for Latin America is reportedly under construction at Antara Fashion Hall in Ciudad de Mexico's (CDMX) upscale Polanco district. It should be a single-story structure, but have the trappings of any flagship, such as a boardroom for business clients. The company's Lehigh Valley Mall in Whitehall, Pa. was revealed to be relocating to a bigger space in September. Apple was sued for $15,000 over injuries caused during an "active shooter" drill at the Florida Mall Apple Store. The crush of battery replacement demands forced Apple to stretch its workforce to cope. Apple Shinjuku opened in the Japanese capital of Tokyo, not far from Shinjuku Station. Apple's Westchester mall store in White Plains, N.Y. closed for renovations. Apple's Bluewater outlet in the U.K. reopened after nine months of renovations. 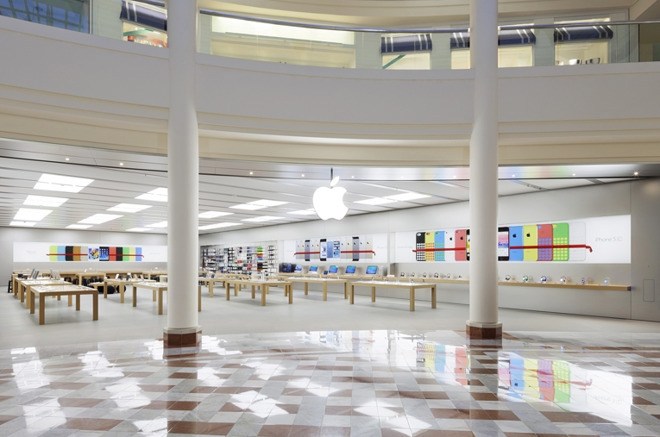 The landlord behind Apple's flagship Michigan Avenue store in Chicago put the space up for sale, though Apple itself is liable to stay put. A New Orleans police officer was accused of stealing AirPods from Apple Lakeside Shopping Center -- while still in uniform. 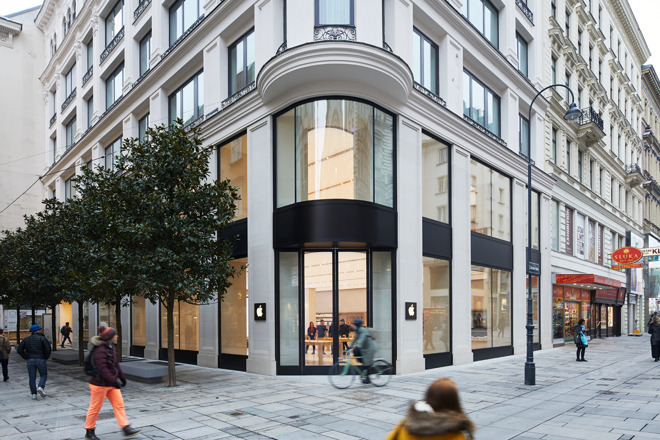 Apple's first Austrian store opened on Vienna's Kaerntner Strasse. 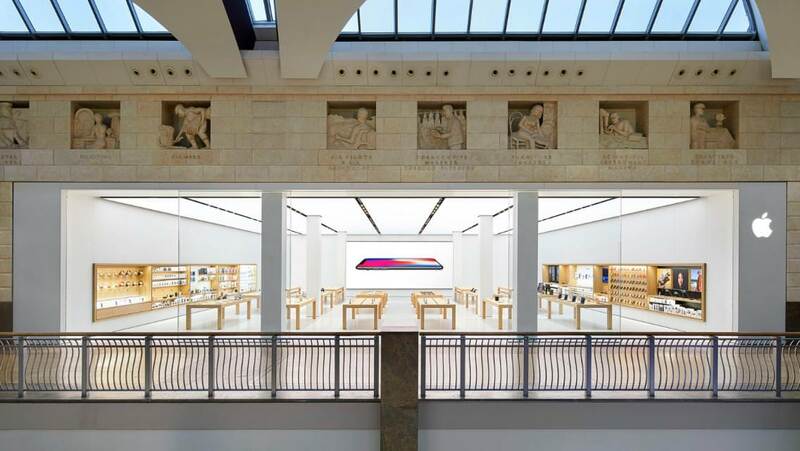 Apple Southlake Town Square in Dallas-Fort Worth was announced as closing for renovations on March 4. It was later revealed that changes would include an expansion and various external improvements. 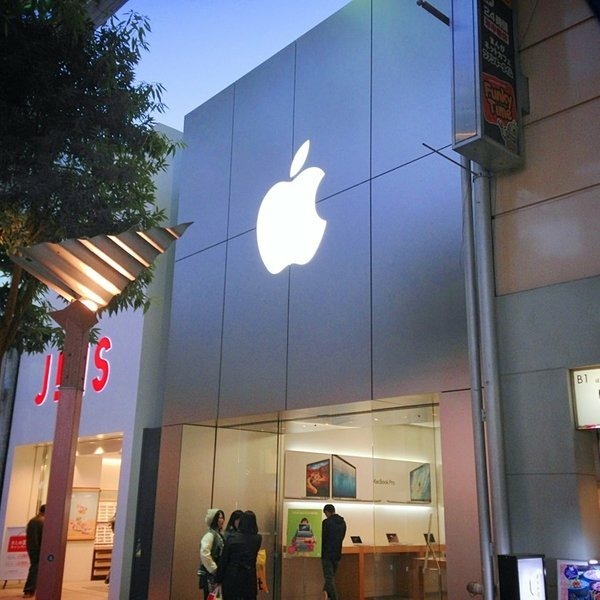 Two Apple workers were hospitalized after a battery rupture at a shop in Hong Kong. Plans were made to close its stores in Green Hills, Nashville and Alderwood Mall in Lynnwood for renovations. Apple opened its first South Korean store in Seoul. 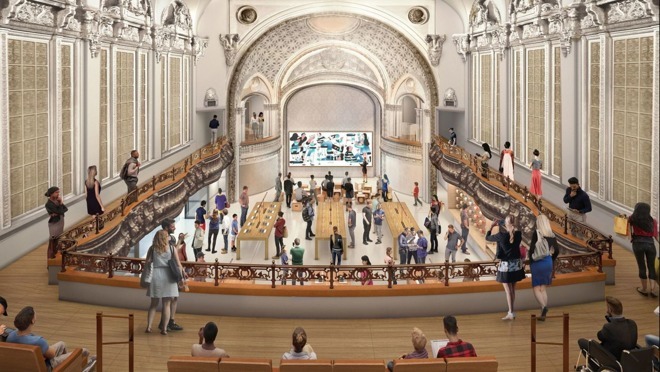 Apple began hunting down a workforce for its Carnegie Library store in Washington, D.C. The company's discounted battery replacement program -- started in the wake of Apple admitting it was throttling iPhones -- caused a rush on supplies, particularly for the iPhone 6 Plus. Yet another iPhone battery fire, this time at the Calle Colon store in Valencia, Spain. An iPhone battery fire forced the evacuation of a store in Zurich, Switzerland. 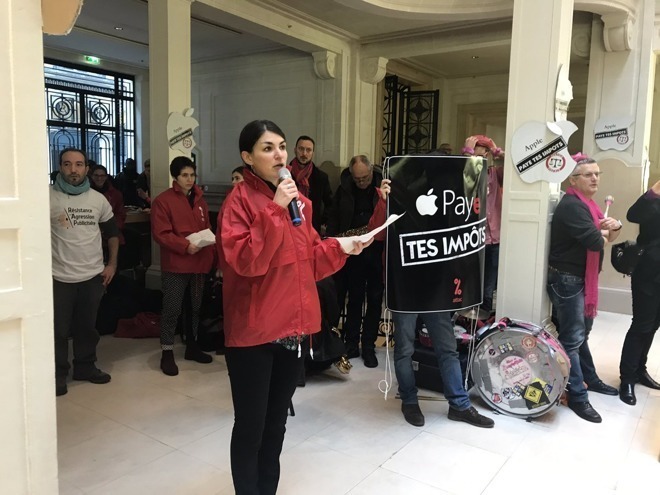 Apple sued the activist organization Attac for staging protests at its French stores, claiming the group "put the security of our customers and employees at risk." Attac has accused Apple of exploiting tax loopholes at the expense of the public, depriving social services of billions in funding. Rumors meanwhile emerged of a new store in Toronto, Canada at the corner of Yonge and Bloor, not far from Queen's Park and the Royal Ontario Museum. An embarassment for the company's high-profile Michigan Avenue store in Chicago was the need to rope off the surrounding area to cope with falling ice and snow. While some initially blamed poor architecture, failing to account for Chicago winters, Apple insisted that the problem was a result of glitches in the rooftop heating system. Impressive. Bucking a trend against brick and mortar. I guess it helps having the best devices for sale in the history of mankind! I am waiting on their Bangkok store - have no idea when it will open - but I have seen them advertising for staff. I just wish it were true that they have the best devices - they might have been good in their day - but they are getting really really long in the tooth (for most of the mac line). Bluewater. Brighter, more modern, light and airy design. Crying out for a green wall though. Entire back wall, indoor vertical garden (everywhere where display isn’t) would be awesome natural relief. It would be cool if there was on in West Bend, Wi. We have a lot of empty buildings where several stores have left us. Anyone know any ownership stats regarding this real estate? 500 stores, often in key areas of cities. Does Apple own any of these properties (and possess appreciable investments) or is it chiefly/entirely a renter of retail space? I know for instance the real estate plays a big part in enterprise value of companies like Macy's and McDonalds. But never heard it mentioned as a factor with Apple. That’s not a shop, that’s an art installation. There are probably a lot of US stores that need expanding or upgrading. Little old Tulsa is one - the store is very small and packed most of the time while the MS store is twice the size and generally empty of customers (a normal situation in OKC as well). One potential for easing crowding, or lack of a store while under renovation, is to look at suitable "second store" sites for temporary use. We have an empty Macy's 5 miles from the Apple Store, and even half of an empty Mervins in the same shopping center. Both would work, as well as some strip sites across the street. Apple could also benefit from using these outlets as temporary sites for Holiday Trading. Getting to the Woodland Hills during the holiday season is a huge pain - one to be avoided. The empty Macy and Mervin stores are in an excellent location for a temp store and are far easier to get to. Apple could use this store as a location for picking up orders up to a full temporary store. A lot of internet shoppers have been burned by the Porch Pirates and would want to avoid that with an expensive Apple product. They also want a semi-easy way to pick up their product. Pick Up stores with close parking would be a major help. That temp store also covers Apple during closing for renovations. There is a lot of inexpensive retail space that could meet Apple's needs and I would love to see them used. Apple does use temporary stores if they need to and there is space available. But sometimes the same reason why a store needs to be expanded is the reason why there isn't an open space in the shopping center. This is why a lot of the upgrades have been to different locations. They can keep the old location until the new one is ready. Lone Tree, CO moved two doors down. (Tesla has the old space now.). While Alpharetta, moved to a different shopping center. Peabody, MA moved far enough that it is the only Apple store that had to change the name of the city it was located. But in all cases, no temporary store. This is my favorite subject as I have been to 186 stores, including Simi Valley and the soon to close Atlantic City. I remember a fella who travelled around all the Apple stores and wrote about them on his websites. I think Browett was fired about a fortnight later. 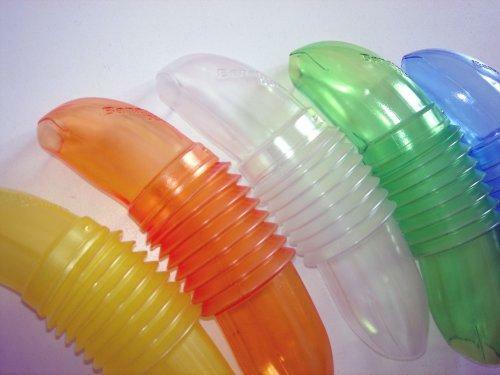 THIS is the best device for sale in the history of mankind. How about the new Apple store in University Village in Seattle that opened June 30? It replaced the old 2003 store right behind it. iJustine did YouTube videos of them escorting the last cutomer out of the old store the night before and the opening of the new store the next morning. It's directly across from a Microsoft store. You forgot to mention the Burlingame Ave store in Burlingame, CA which was closed for months for renovations. Wow, I almost forgot about that guy. That hire by Tim and that guys subsequent actions really made me question the future of Apple back then. That guy was clearly so wrong, it made me wonder how it could have happened. He got it right by firing him 6 months later. I guess that was his “John Scully moment”. Apple does appear to have a magic sauce. I remember back a decade ago when lots of consumer electronics companies had their own stores. In the Galleria mall in St. Louis there was a Bose store, a Bang & Olufson store, a Brookstone, a Radio Shack. All have since closed and like another post mentioned the Microsoft store is often void of people. Samsung has a very few stores... I guess. Every single pundit, analyst, and retail “expert” scoffed at Apple opening its own stores. They literally laughed themselves into convulsions. So what do Apple stores have that others don’t? What makes them different? How could this be "all of the Apple retail store openings, moves, and remodels in 2018" if it only runs through July? The answer to your question seems obvious. Yes, I was all up for giving Browett a chance. He’d turned PCWorld around and I thought there was no reason he couldn’t adapt to Apple’s way of doing things. He knew tech after all, and I reckoned that was the most important thing. The most important thing was understanding the customer. Ahrendts understands the type of people who make up Apple’s core demographic, even if she didn’t understand consumer gadgetry as well as Browett. The important thing about Cook is that he learned quickly. He understands folk who are genuinely useful, and folk, like Browett, who are all about building little kingdoms … which is why Forstall was shown the door. In Stockholm there is something called Skönhetsrådet (the beauty council) that has a veto for new constructions. Basicaly everytime someone wants to build a tall building they destroy the plans. They don't want anything to be in the park, but currently they seem to be overruled since Apple got to buy the place, which might have been a mistake. I understand it correctly people have been angry that this will be a permanent building. The TGI Friday that currently is as the same position was only renting the place, and the building was owned by the town. I wish they could build one of those underground-stores. Everyone would have been happy, and Apple would have gotten a great flagship store.